Debut 45rpm 7” single “Million Miles” from Diamond Street Players w/ guest Amanda Joy on vocals drops Feb 1st, 2019 available on 7” wax only! 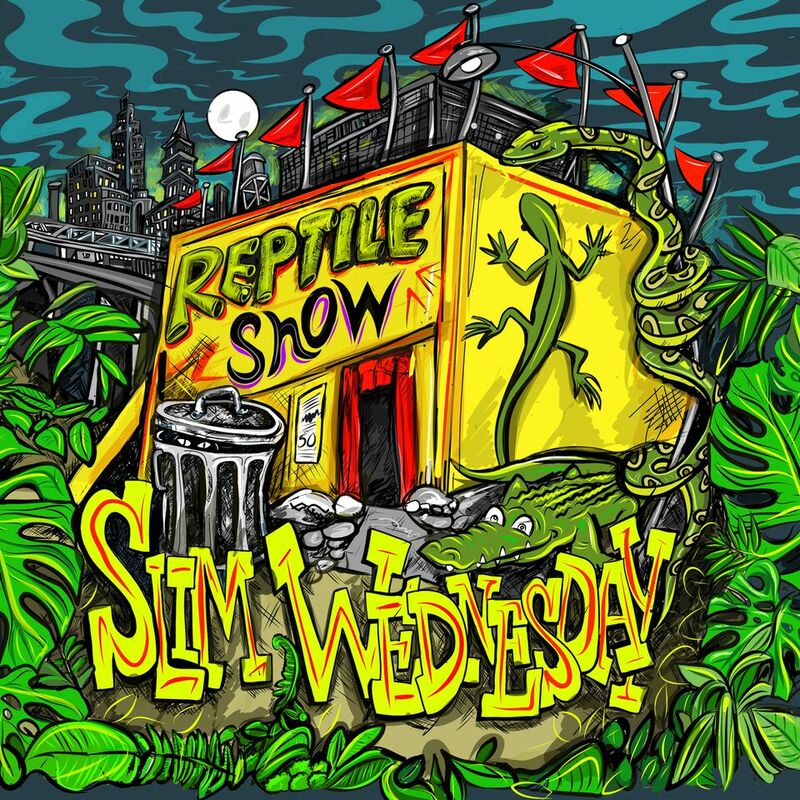 "Reptile Show" - Slim Wednesday Debut Album April 6th, 2018 !!! In this case, Garn, recorded singer, Amanda Joy on the A side “Million Miles,” which honestly is a very smooth, and soulful “Al Green meets Shuggie Otis” type of mid tempo love-soul bender! Now... the B Side is really a polar opposite of what the players can do, and have done on their upcoming album coming early 2019! This edgy, raw & funky “Murky Retrograde,” has already received dancefloor approval in 2018 from the b-boys and b-girls in ATL all the way to Portland, Oregon prior to it’s upcoming release! Slim Wednesday…the day after Fat Tuesday…best kind of day for a ride out to Atchafalaya Basin to get the mind right. Gemco Records has just the soundtrack for your trip with Slim Wednesday's debut full-length, Reptile Show, made up of equal parts southern 70s-style soul, Toussaint/Dorsey-style funk, psychedelic troubadour folk/rock, New Orleans piano, and full-on festival circuit jam/rock. This is the southern stew-sound you get when you put Widespread Panic's piano/organ player, Jojo Hermann, and The Dynamites' guitarist/bandleader, Bill Elder (a.k.a. Leo Black), in a band together. Slim Wednesday brings the essence of Roots Music in this deeply versatile set of southern soul/funk/rock recordings. As Jojo put it best at one point during the recording process, "This just makes me wanna go jump in Lake Pontchartrain!" Featuring LO CARTER "LIVING IN HARMONY"
NEW 7” SINGLE OUT August 25th on GEMCO RECORDS! Gemco Records, after a slight vinyl hiatus, glides back onto turntables in 2017 with a new artist delivering a resplendent new song. The first 7” 45 of the year from Gemco, “Living In Harmony”, complete with a remix DJ’s prize instrumental version featuring organ and flute inhabiting the B-side, brings a song to the world that couldn’t be more timely--in message and in feel.